The intention of black tie optional is to appease all types of gentleman. It's an opportunity to add a touch of sprezzatura to an outfit otherwise classified today as ultra-orthodox. An easy way to be the best dressed man in the room. Dunhill dinner jacket, Barney's New York bow tie. It was the roaring twenties. Across the pond, King Edward VII had passed on, and the far more conservative George V was making his mark in an attempt to reintroduce the formality his father had let slide in the courts. Despite his best efforts, his stylishly young son, the Prince of Wales, known as the twentieth century Beau Brummell, was turning heads as he strutted around like the boys of Harvard when the trad, prep, and ivy styles first hit the Northeastern United States. Although black tie attire had been overshadowing the tailcoats worn by men of nobility every evening for decades, during the jazz age, the use of the dinner jacket (or tuxedo) became convention. Back then it was easy to discern what black or white tie required. Today, it’s a convoluted mess left to the majority of men who prize blue jeans and polo shirts over formalwear to decide for themselves. With contemporary relaxation, a new host of dress codes has been adopted by the masses that has left most men unsure of what exactly terms like “black tie optional,” “creative black tie,” and “black tie preferred” really mean. Black tie optional is one of the most misunderstood dress codes found on invitations. In most cases, it’s listed on event invitations sent out by community leaders and local businesses hosting a sponsored gala or large-scale event. The intention of black tie optional is to appease all types of gentlemen from the elegant dandy with a closet of tuxedos to the small town mechanic whose idea of dressing up means putting on a collared shirt. While most style writers will argue that black tie optional really means ‘get a damn tuxedo,’ the reality is that in the majority of the United States, the event will be informal and more of a show than anything else. Unlike “black tie requested” or “black tie preferred,” there really isn’t any requirement to wear a dinner jacket. However, this type of affair is one that should be eagerly awaited for by rakish men, because it affords us the unique opportunity to add a touch of sprezzatura to an outfit otherwise classified today as ultra-orthodox. 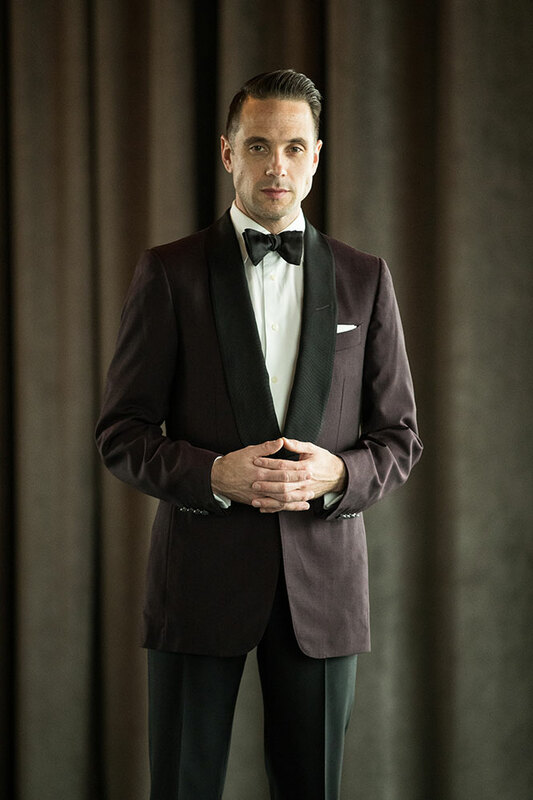 Whether that means substituting the traditional black tuxedo for a midnight blue, olive green, or burgundy dinner jacket, or perhaps even a velvet smoking jacket with a peak or shawl collar and a more formal fastener decorated with Brandenburg’s, olives or oversized buttons instead of the more casual dressing gown sash. These simple alternatives to the classic black and white tuxedo will take the sartorialist from looking overdressed to best dressed. While you may be mocked and called names like “007” by the gents wearing chinos and blazers, that derision will be short-lived when their dates start asking why they can’t dress as well as you. It’s these slight differences that end up making all the difference in the world when you find yourself at a black tie optional affair. While you could certainly get away with just a business suit or blazer, the opportunities afforded to stylish men at BTO events are vast. Consider the opportunity to wear more distinct footwear such as a patent leather pump or oxford in black and burgundy or perhaps a Prince Albert slipper. Adding small accessories like a boutonniere or bold pocket square will show that your entire outfit was selected with purpose. 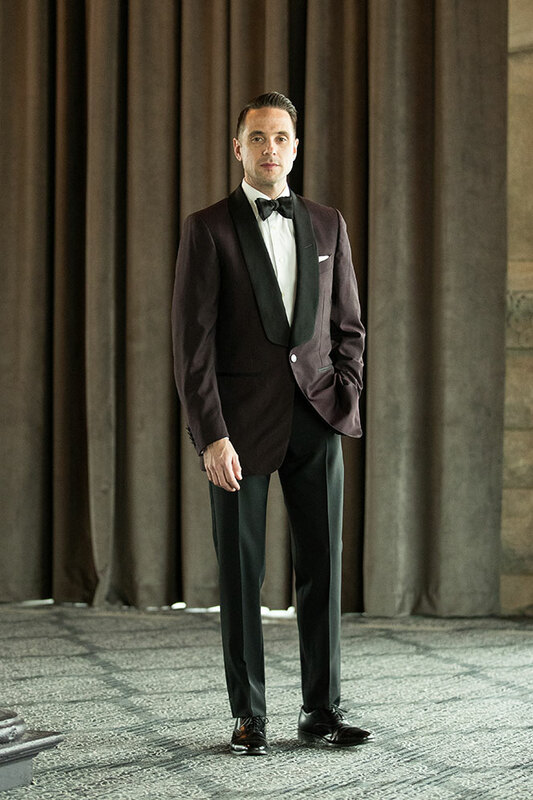 It doesn’t mean having to look like a dandy, but it separates you from the pack turning from the Nick Carraway’s of the room into Jay Gatsby himself.